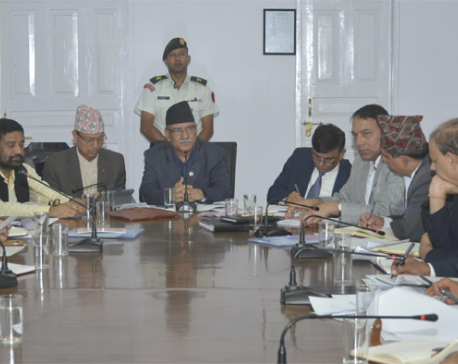 KATHMANDU, May 27: With the unification of the two ruling parties, two members of the executive committee of the National Reconstruction Authority (NRA), who were appointed under the then CPN-UML and CPN Maoist (Center) quotas, have intensified their lobbying with party top guns to become chief of the post-earthquake reconstruction body. Incumbent Chief Executive Officer (ECO) of NRA Yuba Raj Bhusal was appointed by the Deuba government seven months ago. 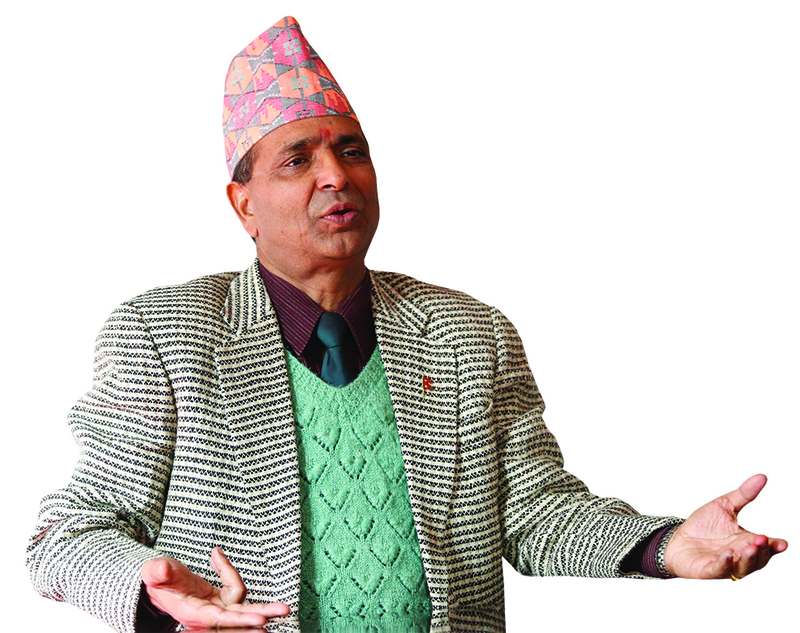 Bhusal replaced Govinda Raj Pokharel after the latter resigned to contest elections . Of late, two NRA executive committee members--Chandra Bahadur Shrestha and Hari Ram Parajuli– have been lobbying separately with the top leadership of the Nepal Communist Party to have Nepali Congress-appointee Bhusal removed and they themselves appoint the CEO . While Shrestha was appointed executive committee member under the CPN-UML quota, Parajuli was appointed by the CPN Maoist (Center). According to a source familiar with the development, Shrestha has intensified meetings with top leaders of the then CPN-UML to persuade Prime Minister KP Sharma Oli to remove Bhusal and appoint him (Shrestha) in his placc. “He is lobbying aggressively to be appointed NRA chief. He's trying to land the appointment by the beginning of the next fiscal year,” the source said. The NRA has 32 months left to complete the post-earthquake reconstruction work, as per the schedule set out by the government. Similarly, Parajuli, who is considered to be close to communist party leader Narayan Kaji Shrestha, is lobbying Shrestha as well as other Maoist leaders to mount pressure on the current government to appoint him. Parajuli reportedly pushed many reconstruction projects in Gorkha, Shrestha's home district, to curry favor with him. “The vice-chairman of the National Planning Commission, who was appointed by the new government, is close to the then CPN-UML. So the then CPN Maoist (Center) wants someone close to them at the head of the NRA,” said the source. 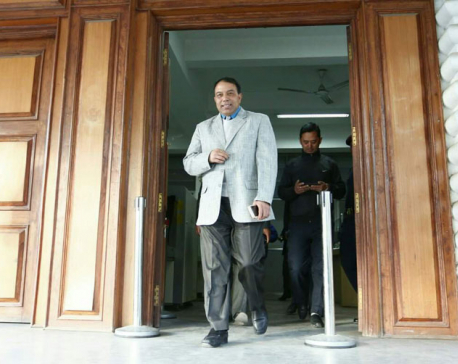 Oli had appointed Sushil Gyewali as NRA chief in December, 2015 during his first stint as prime minister . But the subsequent coalition government of the Nepali Congress and the then CPN Maoist (Center) led by Pushpa Kamal Dahal sacked Oli's appointee and picked Govinda Raj Pokharel of Nepali Congress in January, 2017. Gyewali was removed, citing unsatisfactory performance. Unveiling the policy and programs for the next fiscal year on May 22, the government announced that it is to cut red tape, which has hindered post-quake reconstruction, and expedite the reconstruction work so that it will be completed within the remaining 32 months. However, the new government has not said anything publicly so far regarding any change in the NRA leadership.